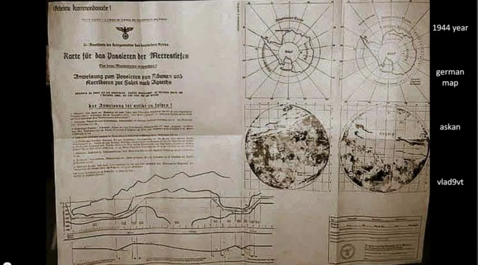 136 - A Nazi Base on Antarctica? First I want to thank all my followers and readers for their hearth-warming responses and comments. A Nazi Base on Antarctica? At the end of the second world war a lot of papers and information was captured by the troops of the USSR. Some of this information has become obtainable when the USSR collapsed. We now know that there was a race of sorts between the West (USA & England) and the USSR to capture German scientists who were working on ﻿Top Secret Nazi Wonder Weapons. A good example is Werner von Braun who dicided to surender to the Americans, and became their Rocket Expert. From the archives of the former USSR this document surfaced. 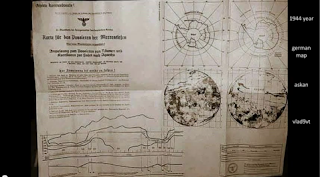 This is a map for U Boats how to reach a secret Nazi Base under the ice of the South Pole. 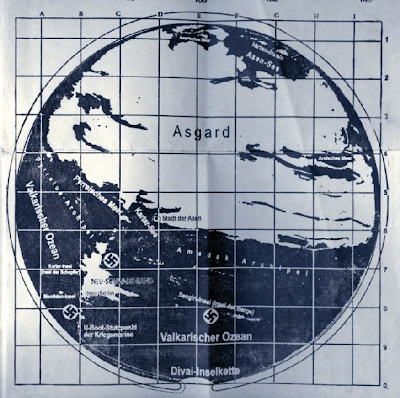 Could this be one of the reasons why Admiral Byrd went to Antarctica with a fleet of ships, and came all shot up back within two months, while he was allowed to stay away for 8 or 9 months?